Our dedicated and multilingual team – all trained to the highest standards – are there to assist in your search for a luxury property in Marbella. Whether it is for a villa in Sierra Blanca, beachfront villa in Los Monteros, luxury penthouse for sale on the Golden Mile or an off-plan property in a new development in Marbella, we will help you find your dream Marbella home. 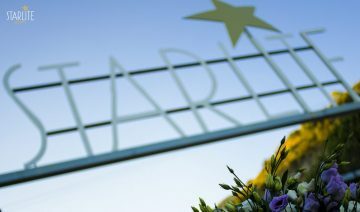 The Starlite Boutique Festival in Marbella is definitely one of the best events on the Costa del Sol. Every summer, a variety of celebrities are brought together, not only to perform but also to socialize and enjoy the beaches, the sun and the good vibes of one of the most desirable cities of the world, Marbella. Taking place in a natural outdoor area, inside the quarry of Nagüeles, offering a unique and intimate atmosphere and a full month of daily great music, gastronomy, art, fashion and film with the best international artist worldwide. A real cultural paradise! A golden rule in real estate is “locaton, location, location”, as the top location is always taken first. As a result this creates a shortage of properties in the best locations.